Each car crash is unique. The location of the physical damage to the car is a strong indicator of which driver is at fault. In two-car crashes, for example, damage to the side of one car and the front of the other usually indicates that the driver who drove the car with the front-side damage caused the accident. At Harris Lowry Manton LLP, our Atlanta car crash lawyers work with investigators, the police who came to the scene, and others to determine how it happened. In complex cases, we retain traffic reconstruction experts to analyze the exact manner of the collision. Our lawyers are highly respected by our peers and the Georgia community. In one illustrative case, we obtained a $40 million verdict on behalf a client rendered permanently disabled as a result of a driver under the influence of prescription drugs. Head-on crashes. When the front of two cars collide, it is a strong indicator that one of the drivers was either drunk, in the wrong lane, going the wrong way down a one-way street, or that the accident happened in an intersection. Head-on crashes are often deadly or cause catastrophic injuries. Rear-end collisions. These crashes usually happen because the second driver, the one in the rear of the first driver, was not paying attention. The lack of attention can be due to driver distraction or just plain carelessness. It may be due to bad brakes in the rear vehicle. The driver and passengers in the front car often sustain head and neck injuries. Sideswipe impacts. One car that is trying to pass another car may get too close and swipe the side of the other car. Sideswipes can also happen when two cars fail to merge properly. A big danger in sideswipe car collisions is that one of the cars can spin out of control, causing further injuries or death. Vehicles that rollover. Rollovers can kill the occupants when the roof of the car strikes the ground. If an SUV or jeep was going too fast through a turn, for example, the passengers or their families can sue the driver or the driver’s estate. If the car rolled over because of a defective part, we bring claims against the manufacturer. If the car flipped because another car struck it, we bring lawsuits against the driver and owners of the car that was at fault. Side-impact collisions. A T-bone crash happens when the front of one car strikes the side of another car. The car with the damage to the front is almost always the one at fault. Our Savannah car crash attorneys represent the drivers and passengers in the car with the side damage who often suffer severe injuries because the side of a car gives much less protection than the front or rear. Single-car accidents. Passengers have the right to hold drivers responsible for their medical bills, lost wages, and pain and suffering if the driver was negligent or failed to comply with any traffic law. Drivers can file a claim if a defective part caused the car crash or if the county or state failed to properly design or maintain the road. Multi-car crashes. 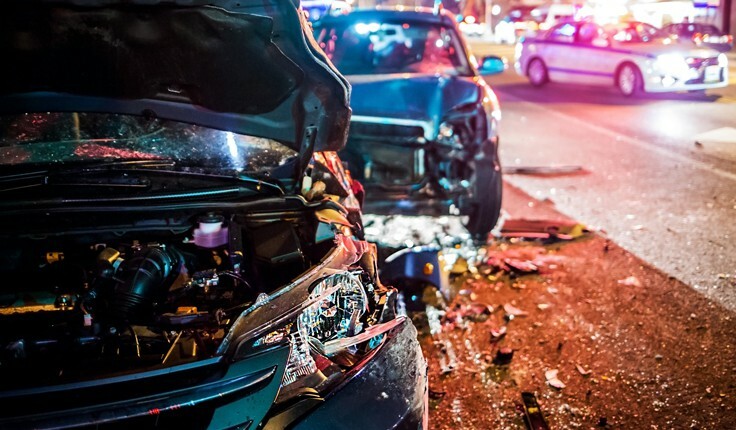 Multi-car collisions are complex, because before liability can be determined, it is necessary to show which car started the accident and how each car then collided with each other. There are usually multiple plaintiffs and multiple defendants. Multi-car crashes can occur in many different ways, such a car crossing into another lane, an oil slick, or spilled cargo. If it is clear from the way the collision happened that a driver intentionally disregarded the safety of others, we demand that driver pay punitive damages. Delay can hurt your case. The Atlanta car crash lawyers at HLM have obtained numerous six- and seven-figure settlements and verdicts because of our thorough factual review of the case. Early intervention means we can see the scene of the accident and the cars before any change takes place. We can speak to key witnesses before memories fade. Our ability to get top jury awards is a key reason we can settle many cases. For help now, please call us at 404-998-8847 in Atlanta and 912-417-3774 in Savannah, or complete our contact form to schedule a free initial consultation.